Today, we will be visiting our Guard Hill Lane Steele family reserve to carry out fencing, log splitting, a gate installation, low scrub management and machinery servicing and repairs. Meet at Guard Hill Steele family reserve SD 472 800 at 10am. 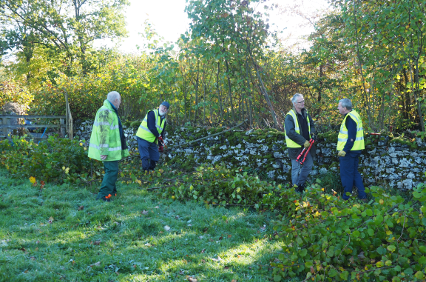 For further information contact Bob Pickup via e-mail volunteering@landscapetrust.org.uk or telephone 01524 761740.